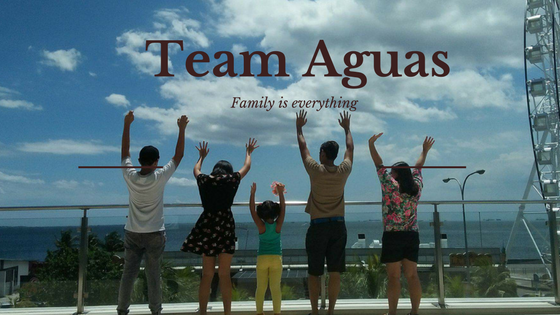 #TeamAguas: Be Part of All for One, All for Love!!! In celebration of Outbox Media's 5th anniversary, brings you "All for One, All for Love". A Celebration of Passion, Dedication and Diversity!! 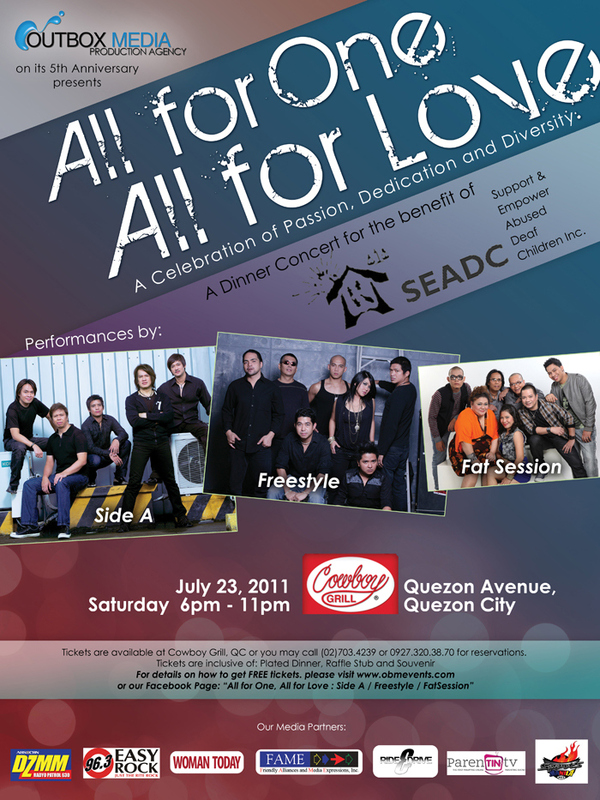 Come and Join on July 23 from 6pm to 11pm at Cowboy Grill, Quezon Avenue, Quezon City. Tickets are available at Cowboy Grill, Q.C or you may call (02) 703-4239 or 0927.320.38.70 for reservations. Tickets are inclusive of Plated Dinner, Raffle stub, and souvenir. Sit back to a night of pure entertainment and delectable dining experience from Cowboy Grill with performances from Hi-Definition dancers, comedy and singing acts from Fat Sessions, followed by a mellowing down your evening with the soothing and heart-rending hits from Freestyle and Side A.